Mark Devlin is a UK-based club and radio DJ, music journalist and author. 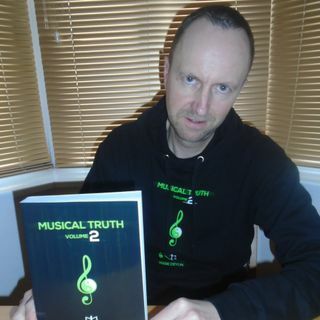 In early 2016 he published his book, 'Musical Truth.’ Volume 2, was published in early 2018. Good Vibrations is Mark Devlin's regular podcast of conversations with free-thinking individuals on wide-ranging crucial topics about the true nature of reality, encompassing the subjects of truth, conspiracy, spirituality, consciousness, mind-control, social-engineering, and much more. The show began in late 2011 with David Icke ... Maggiori informazioni as the first guest. An archive of Mark Devlin's various DJ mixes from across the genres and through the years. A selection of Mark Devin's live DJ sets from over the years and over the continents. A selection of my old radio shows from the archives - from early days in background production at Fox FM, to my big breakthrough with the Swing Shift on Galaxy 101, then stints at Oxygen FM, Oxford's FM107.9, OX105, and Destiny 105. The Sound of Freedom is Mark Devlin's regular showcase of conscious music. Its content stands as the very antithesis of the dumbed-down, spirit-crushing output of the corporate industry, instead giving airtime to meaningful message-music, from free-spirited and wildly creative artists. Besides offerings from the hip-hop, reggae ... Maggiori informazioni and soulful groove genres, each show includes the Truth Trip - songs from decades past whose lyrics remain as potent today as on the day they were first written.